Should My Agent Advertise My Listing on Social Media? Being in the real estate industry we speak to a lot of buyers agents and listing agents and have a good sphere of influence and book of business that we commonly refer to, especially when we take on a new listing. Because we work with both buyers and sellers we may have a buyer ideal for your listing, alleviating the need for any advertisement. 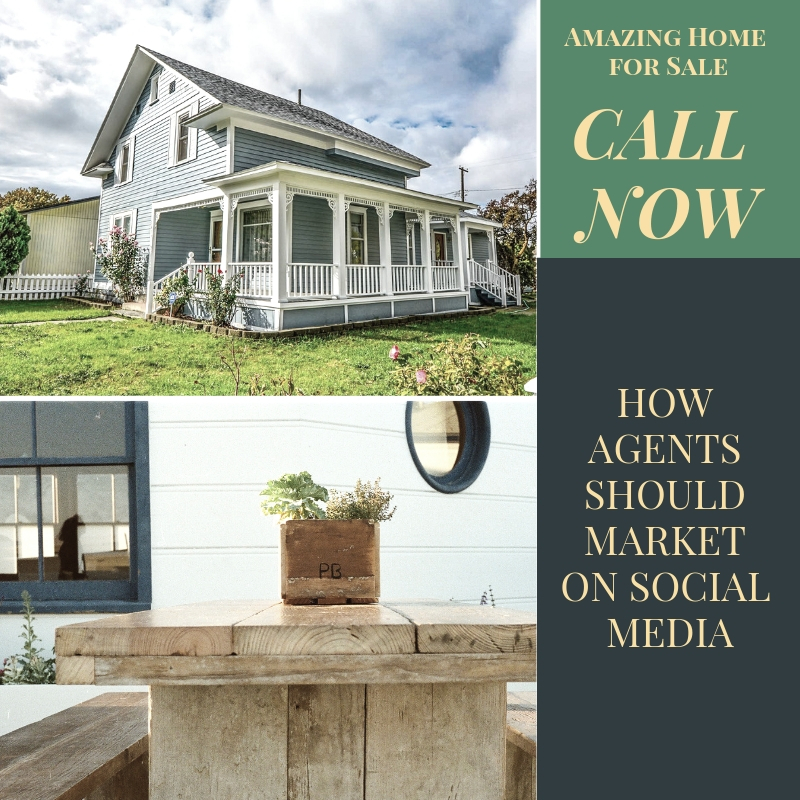 But, should your agent advertise your listing on social media? In today’s social media forward world if your agent isn’t on some form of social media they may not be doing their clients justice. Buyers are on social media and by using it correctly you can advertise to the right individual and get the lead you need, however, nobody wants to look at a feed full of real estate listings. So how can a real estate agent advertise correctly on social media? Well, for starters, a real estate agent has to be well-versed in whatever social media they are going to use. This could mean Facebook, Instagram, Pinterest, LinkedIn, or Twitter, but whatever they do, they should be advertising more than simply listings. As I said, nobody wants to look at a feed full of real estate listings unless that’s what a buyer is looking for at that moment. The problem is, you want people to be interested in your voice and your activity far before they actually need to buy a house and to do that, you need to offer other practical and helpful information. If you’re listing your home, you’ll want to ask your agent how they advertise. You want a good range of advertising options such as in person, flyer, open house, online, MLS and any other way that could possibly bring in a buyer. But it’s okay if your agent isn’t on EVERY social media available… I mean, there are something like 3000 of them and that’s impossible to keep up with. We have to go where the buyers are and have a good wealth of followers to do any good. I recommend using an agent that knows how to use at least 2-3 social media outlets well. They might post other things like recipes, gardening tips, local events and news, funny jokes and memes and then throw an amazing listing in there from time to time. If the people have followed thus far, they may be more likely to share your listing as well. And images matter! We are in the Snapchat/Instagram era where photos are the thing that catches the eye. If the image is stunning, the click-throughs will follow, which is why it really pays to have amazing listing photos.